Failing To Plan, Is Planning To Fail. Truer words have never spoken when it comes to starting a school butterfly garden. Let’s make yours a flyaway success! School butterfly gardens have exploded in popularity over the past decade. Some of them have had great success, while others are missing out on the butterfly garden party. 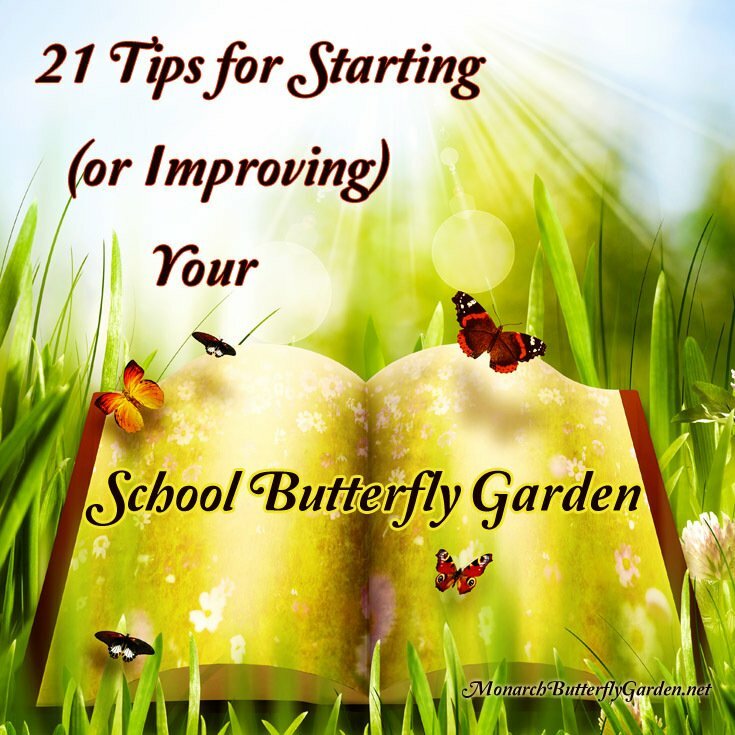 There are a lot of basic guides floating around the internet, but most of them don’t stop to consider important questions that could change the entire direction of your school butterfly garden plan. I recently came across an article by author and butterfly gardener ‘Tom Terrific’ that I believe could benefit all teachers, administrators, and students before digging into their butterfly garden adventures. 2. Low Maintenance Plants- Unless you have students, parents, or teachers willing to tend the garden on an ongoing basis, don’t choose plants that require close monitoring or care. You’ll miss out on some great options if you go for a “no maintenance” garden, but that’s a choice every school needs to make based on its own unique circumstances. 3. A Responsible Adult- While kids may have the best intentions, they can be easily distracted. One adult should be regularly monitoring the garden to ensure its survival. 4. 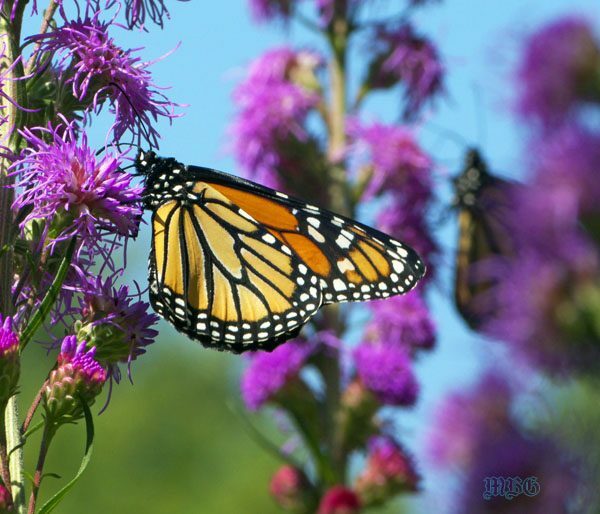 Fall Plant Focus- Butterfly season is in full swing across most of North America when school begins in September, and the magical monarch migration is just beginning. Does your School Have what It Takes to Attract the Monarch Migration? 5. Spring Plant Focus?- This depends on your location and what butterflies you are trying to attract. Last season we had “Minnesota Monarchs” in late April so spring blooming plants would have been helpful…but “counting on extreme weather” probably isn’t the best idea. 6. Water Well- Most plants and seedlings require more water at the beginning of the season while their roots get acclimated. 7. Mulching Today, Keeps Tomorrow’s Weeds Away- …it also helps the soil around your plants retain moisture! 8. Mark Your Territory- If you define paths and include edging, your garden will be better protected. If the kids don’t know exactly where the garden is, they’ll run right through it! 9. Available Water Outlets- Don’t make watering the garden inconvenient or it might not get watered! Also, rain barrels are a convenient extra water source and they add a bit of school butterfly garden decor. 10. 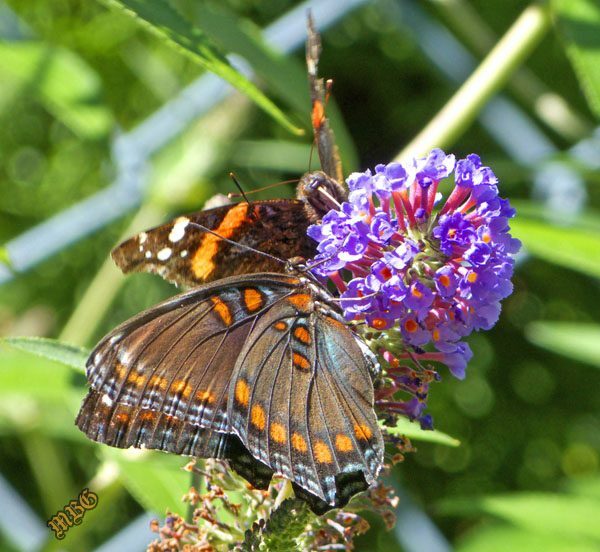 Sun & Shade- Yes, most butterflies and butterfly plants prefer lots of sun, but shade can also be utilized in a butterfly garden. Over the years, I’ve found that some of the “full sun” plants can perform just as well (if not better) in areas that receive partial shade. Last season I grew my largest Mexican sunflower plant ever in partial shade…it eclipsed 8 feet! 12. Don’t Plant A Garden Hog!- When planting perennials, don’t forget they’re going to grow, so space accordingly. While they’re babies fill in extra space with annuals. Otherwise, be prepared to move around perennials you spaced too closely together. 13. Supplement Your Soil- Using topsoil and compost is a great way to improve soil quality if yours isn’t ideal for what you’re planting. 14. Fertilizer?- There is some debate as to whether it’s even necessary to add fertilizer in addition to composted manure, but I think it makes a big difference over an entire growing season. Over the years we have used many different fertilizers both organic and non. 15. Plant Host And Nectar Plants- While nectar flowers are get all the glory, there’d be no butterflies if the caterpillars had no host plants to feed on. 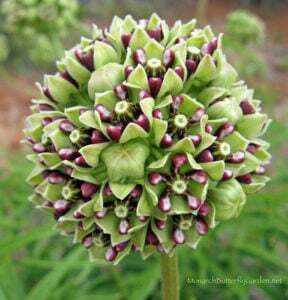 If you have limited space try plants that serve both needs like swamp milkweed (Asclepias incarnata) and tropical milkweed (Asclepias curassavica). 16. 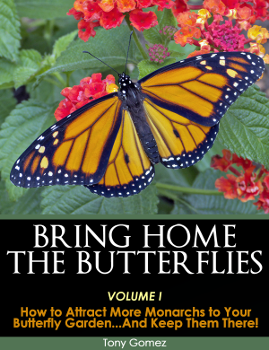 Butterfly Gardening Guide- Get more details for creating a successful butterfly garden and discover top notch resources in my 5-star customer rated butterfly gardening guide. 17. Cuttings Make Great Plant Insurance- No matter how well you care for them, sometimes plants die. There are lots of butterfly plants that can be started with cuttings…in water!! In late summer or fall, just head outside and take cuttings to place in water. For some plants, it’s that simple. Watch the process here. 18. Collect Seeds Each Fall- If you want to start seeds as a class activity in winter/spring, your garden will give you plenty of opportunities to collect them throughout the season…harvesting milkweed seeds each fall is typically the best option for a school butterfly garden. 19. Don’t Get Stuck On ‘Native’- Many people disagree with me on this topic, but Tom and I seem to be on the same page. Native plants are not always the best option for school (or home) gardens. Like Tom, I have many native plants growing at home, but I’m constantly experimenting with non-invasive annual plants too. Teachers should consider bloom times, plant care, invasiveness, and all relevant issues when making their final plant decisions. That won’t always lead to the “native” conclusion. 20. Raise Your Game- Creating a butterfly garden for kids should give you a window of opportunity to raise butterflies. This is a fun and educational activity for the kids, and you’ll save eggs and caterpillars from garden predators too. 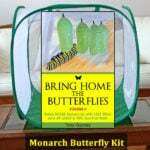 For more information on how to raise monarchs in the classroom check out this helpful school resource. 21. Get Monarch Insurance- The monarch numbers are down and it might take them a season or two to discover your glorious new garden. Fortunately, that doesn’t mean the kids have to miss out on the monarch experience. Eggs and caterpillars are available from butterfly farms for most of North America’s butterfly season. 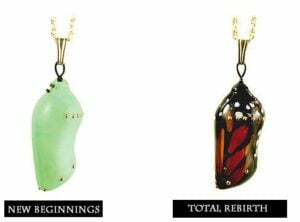 You can find monarch eggs and caterpillar for sale at the bottom of my raising resources page. 22. Get your School Butterfly Garden Wish GRANTED! Do you know a teacher or school administrator who could use this information? Please share this article and help make their butterfly garden a flying success. I am new to butterfly gardening. I live down south in New Orleans. Do you have any suggestions on what would be the best plants for me to start with. 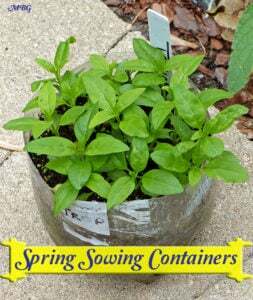 My garden will be a container garden. About how many plants should I start with? will bits of tin foil on a milkweed plant deter birds from eating my caterpillars. I Recently lost a dozen and today I see 3 new babies. I only have one pot with milkweed. Hi Phyllis, I’ve never heard of this before. You could always cover occupied plants with mosquito netting. good luck! I was wondering if certain scents deter the butterflies. I have dill and parsley near a trumpet vine, queen Annes Lace, oregano, and mint and I have never seen any butterflies near them. Hello Laura, I’m not aware that any of those plants would repel butterflies…I’ve heard that oregano will repel cabbage butterflies but I have never heard any first-hand accounts from gardeners that noticed an issue. The other plants should attract butterflies. How do you convince a school district that milkweed plants are needed for a monarch butterfly garden when maintenance dept has policy against milkweed? Hi Gail, my guess is this milkweed ban might be for Asclepias syriaca (common milkweed). It can be controlled better, if it has a separate growing space outside the garden.This has worked well for us. Hi! I have a smaller butterfly garden at our house and I just wanted to thank for all these great tips! I love butterflies and half of these tips I did not think of yet. Thanks again! Wonderful website! Hi Theresa, are you talking about having a butterfly house where you keep and breed butterflies or for raising and releasing them? I have a very small garden and I have to use containers, will I have enough milkweed to attract the butterflies? I also live in Vancouver WA and looking at the map, it does not seem as though the butterflies come this far north. I do so much want to attract the monarchs but will it be possible? Great post! I put a butterfly garden in at our elementary school in May. I would love to do some cuttings, as I think that’s fun learning experience for the kids too. What are your favorite plants for cutting? For other kid friendly ideas, I’ve had success growing a radish plant from a radish. I watched a cabbage white flit there for hours yesterday. I’ve also had the kids plant marigolds and sunflowers from seed. Also, we have some drama from an article in the paper last week as school was starting about milkweed blindness. I think I’ll have to put a small fence around the milkweed to calm fears. I suppose this will help protect the caterpillars from little hands tough. Any advice on milkweed toxicity? Hi Lauri, milkweed blindness is certainly an attention grabbing headline! Milkweed sap can be an eye irritant. Unless you’re picking leaves you won’t get any sap on your hands..if you do, simply wash it off. 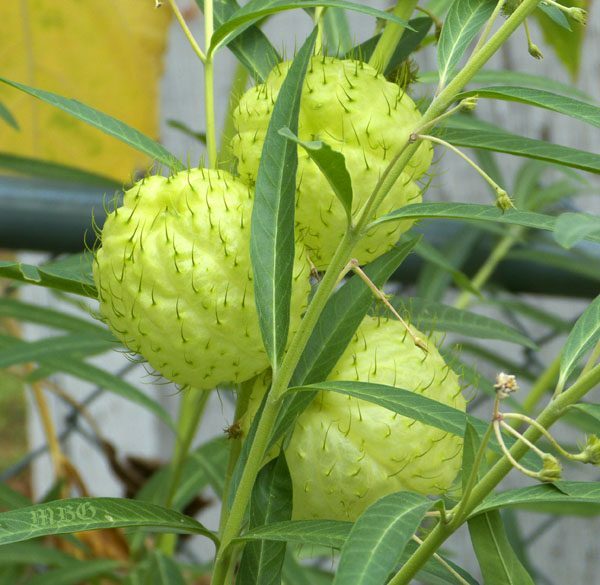 For stem cuttings, tropical milkweed can be propagated in water, as can native butterfly weed. Milkweed seeds can also be started in water, which would make an interesting class experiment…. Great info, thanks. I have a concern, however, on the initial photo. Buddleja is a controversial plant in many regions of the country because of it’s invasive status, other regions should use caution when planting this exotic as climate and zones are changing rapidly. Just saying we need to be careful what we promote for pollinators and DOUBLE check invasive characters in nearby states and zones. Hi Julia, I agree that non-natives need to be monitored for potential issues, but I also believe there are a lot of unsubstantiated claims about the “invasive nature” of butterfly bush. Curiously, all the gardeners I talk to that actually grow it have no issues with it being invasive in their gardens or surrounding area. There are also cultivars of butterfly bush that have low germination rates or are even sterile.